Just when I thought I was getting back into the swing of my workouts, a wrench got threw into the program. What wrench, you may ask? For me, the wrench is working a different schedule then my husband. You see, usually I come straight home from work, change my clothes, let the dogs out, and then head to the gym. I like for my workouts to be done by 6:30 at the latest, and that is only when I take a group class at the gym. Otherwise, I can get there and do what I need to do, and be home around 6. For the past few weeks though, my husband’s schedule got changed because of an outage, so he is working on night shift temporarily. Now instead of rushing to the gym when I get home, I try to spend some time with my husband first. It is so hard sometimes to get up and get going after relaxing with him for a while. I’m the type of person that needs to keep moving because once I sit down, I feel done for! When I do manage to gather my wits together and head off to the gym, I end up getting home later than I would like to. I’m then too tired to do anything else in the evenings except watch television. I end up taking a shower, posting my workout on Instagram (if I feel like it), and then I go to bed. I’ve been doing so well in my spiritual life lately and now I feel like I am slacking again. I still try to do a small devotion in the mornings before I do anything, but I haven’t really studied as much as I want to in the evenings. I feel a little like Paul sometimes. Romans 7: 4-16 I can anticipate the response that is coming: “I know that all God’s commands are spiritual, but I’m not. Isn’t this also your experience?” Yes. I’m full of myself—after all, I’ve spent a long time in sin’s prison. What I don’t understand about myself is that I decide one way, but then I act another, doing things I absolutely despise. So if I can’t be trusted to figure out what is best for myself and then do it, it becomes obvious that God’s command is necessary.17-20 But I need something more! For if I know the law but still can’t keep it, and if the power of sin within me keeps sabotaging my best intentions, I obviously need help! I realize that I don’t have what it takes. I can will it, but I can’t do it. I decide to do good, but I don’t really do it; I decide not to do bad, but then I do it anyway. My decisions, such as they are, don’t result in actions. Something has gone wrong deep within me and gets the better of me every time. I start every morning sipping a cup of coffee while I read my devotions and pray. I go to work and have a fantastic day because everything goes right. I come home and prepare dinner for my husband. We make mad passionate love. I go to the gym and work out, and every machine I want to use is available. I come home and clean up the house, then take a shower. Spend time studying the Word and in prayer. Lie down in bed next to my husband and read a good book. Maybe top off the evening with an extra round of spicy love-making. Go to sleep with a smile on my face and snuggled up next to my husband. I wake up and stumble to the living room and read my devotions through squinted eyes and pray for a few minutes. Who has time to enjoy a cup of coffee? Work is hectic and everyone wants their procedure done yesterday. I come home and have one hour to spend with my husband before he leaves for work. Sometimes I try to cook something real quick for him, and sometimes he picks something up on his way to work. As you can guess from the above scenario, there is no passionate love-making. I go to the gym and the every cardio and weight machine I had intended on using is being used by someone else. Thank God for the couple of days I have classes and I don’t have to wait! Some evenings I don’t make it to the gym because I end up winding down too much when I get home, and can’t motivate myself to go. If I go to the gym, I come home and take a shower and then try to eat something healthy so I don’t undo what I just accomplished at the gym. Who wants to clean the house after a long day? I intend on studying the Word and praying but I’m so tired I don’t. Then I feel guilty, and I know I shouldn’t. I try to go to bed and not think about my husband and what I wish we were doing, but can’t because he’s at work. No snuggling. No nothing. It’s hard falling asleep, but eventually I drift off. I awake to the sound of the dogs barking as my husband comes home. They continue barking until he gets into bed. I can’t fall back asleep, and then my alarm goes off. I go to work tired. I go work-out tired. I go to bed tired. How do these women do it? 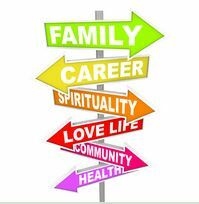 How do you make sure that your family is taken care of and also take care of yourself? How do you make sure that you put God first? They say that if you are able to fit all the big things in your life first, that everything else falls into place. I can’t seem to find that balance. Until I do, I am going to continue doing the best I can do and hopefully everything will come together in perfect harmony. Unfortunately that may take longer than I want to because I have to go on nights mid November for a month because of an outage at my plant coming up. This is a downside of switching jobs to a different plant. Not only do I no longer work with my husband, we have different outage times and our schedules collide. sigh. Oh, I left off one more thing that I always want to do more of but never find the chance…write in my blog. Hello lady!